Great poetry can indeed outlast stone and the glory of princes, and the English poetic tradition is perhaps the richest in the world. 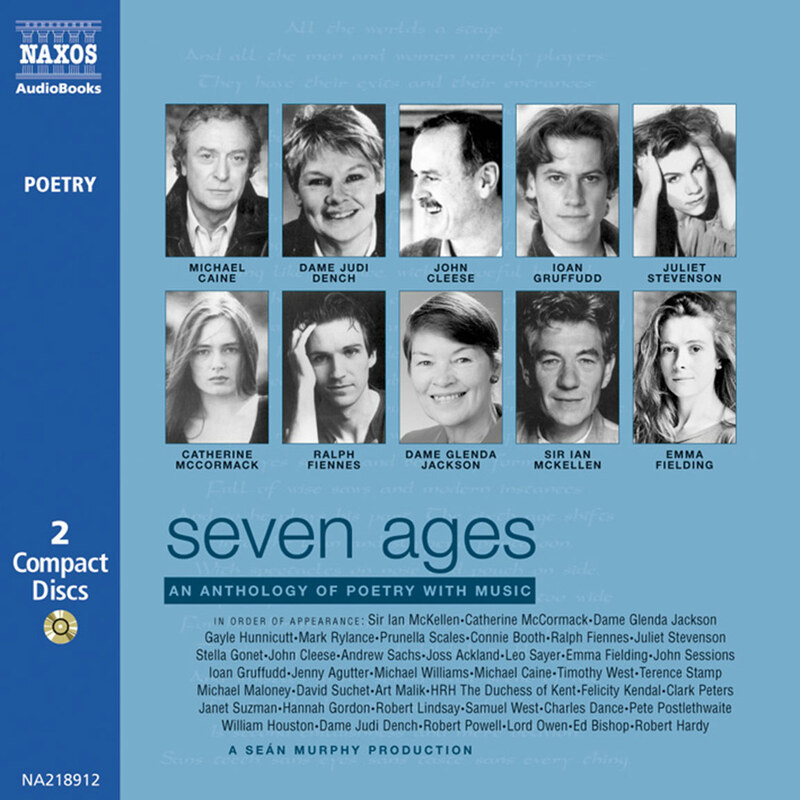 This audiobook tells the story of that tradition through its towering figures – Spenser and Shakespeare, Milton and Dryden, Wordsworth and Tennyson, Whitman, Dickinson and Eliot – and through scores of other poets. Clear and accessible, blending criticism with imagination and illustrated with scores of quotations, this new history will delight all who care about the past and the future of English poetry. Jacobi injects drama into this erudite yet fast-paced journey from Beowulf to the modern myth of Eliot, illustrating through scores of generous quotations Emily Dickinson’s definition of poetry as the ‘cold which no fire can warm’. A history of 600 years of poetry is a daunting row to hoe, so let’s start not with Beowulf (which is Danish anyway) but with the 1557 anthology Songs and Sonnets and see how, circa 400 years later, we arrive at Disillusionment of Ten O’clock, my favourite Wallace Stevens poem, published in 1923. That, by the way, is not Whitfield’s cut-off point, it’s mine. He soldiers bravely and chronologically through his leviathan list of poetic categories – medieval, Elizabethan, metaphysical, Cavalier, graveyard, Augustan, romantic, Hartford wits, Victorian, confessional, Georgian, war, modern, new apocalypse, postmodern, ending with performance poetry – but I incline to Macaulay’s view that ‘as civilisation advances, poetry almost necessarily declines’. 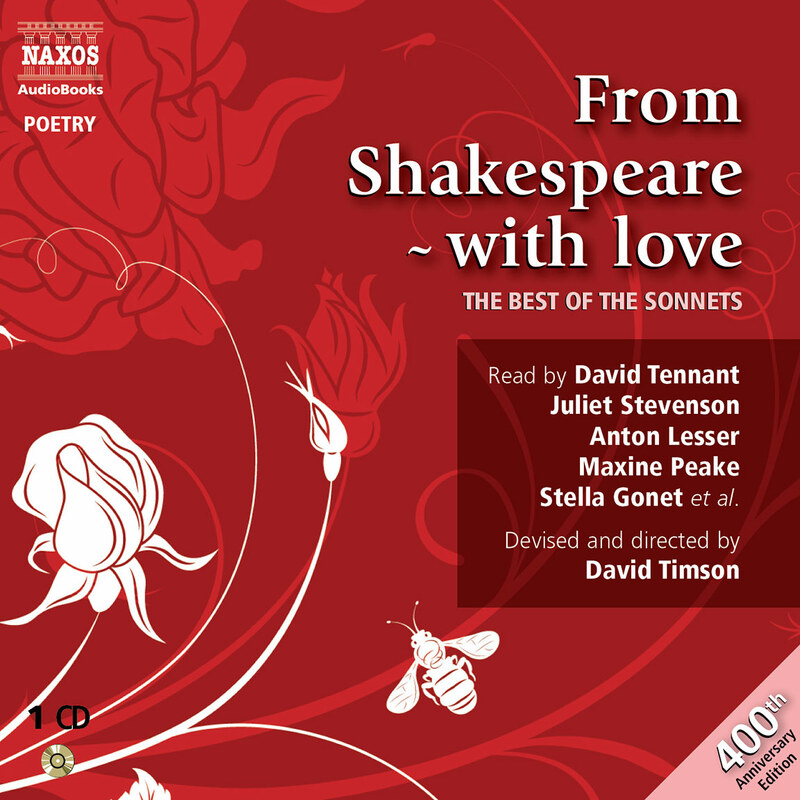 Thomas Wyatt’s poem in Songs and Sonnets, says Whitfield, shattered the medieval moral narrative tradition. Its title, The Lover Showeth How He Is Forsaken of Such as He Sometime Enjoyed, does not sound promising. Read on. ‘They flee from me that sometime did me seek / With naked foot stalking in my chamber. / I have seen them gentle, tame and meek, / That now are wild, and do not once remember / That sometime they have put themselves in danger / To take bread at my hand; and now they range, / Busily seeking with a continual change. / Thank’d be fortune it hath been otherwise, / Twenty times better; but once especial, / In thin array, after a pleasant guise, / When her loose gown did from her shoulders fall, / And she me caught in her arms long and small, / Therewith all sweetly did me kiss, / And softly said, “Dear heart, how like you this?”’ Sensuous, mysterious, intellectual and above all personal, this melodious crystallisation of emotion was like nothing previously classed as poetry and set the stage for the Elizabethan golden age. 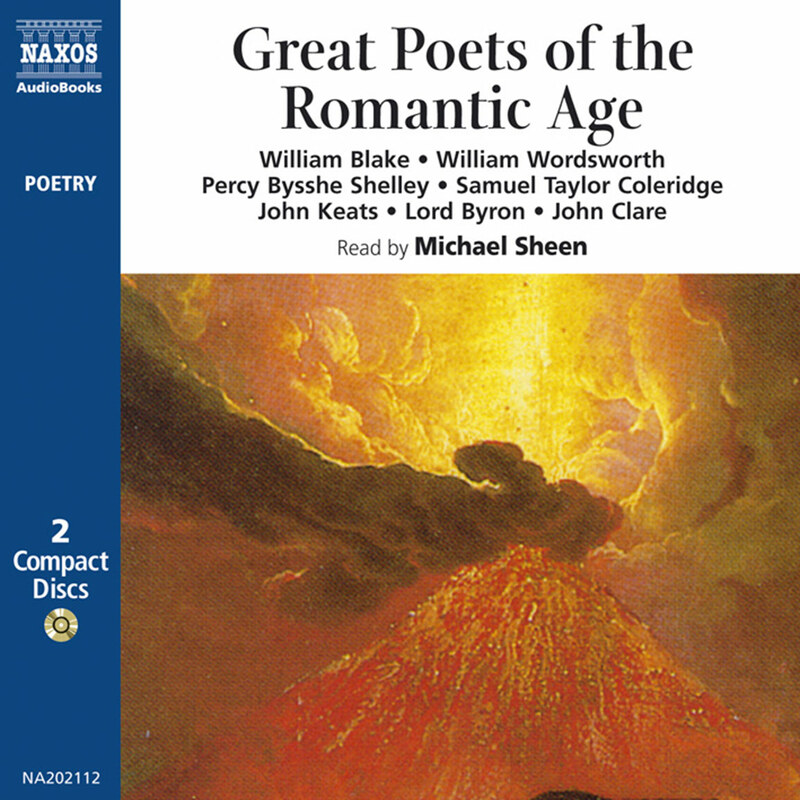 Thence to the whole glorious canon of poetic greats – Donne, Milton, Blake, Keats, Hopkins, Frost, Dickinson, Yeats and, yes, in my book, Stevens. If poetry truly is the alchemy of words and the music of ideas, he has to be in the premier league. ‘The houses are haunted / By white night-gowns. / None are green, / Or purple with green rings, / Or green with yellow rings, /Or yellow with blue rings. / None of them are strange, / With socks of lace, / And beaded ceintures. / People are not going / To dream of baboons and periwinkles. / Only, here and there, an old sailor, / Drunk and asleep in his boots, / Catches tigers / In red weather.’ Don’t ask me what it means, just listen to it. Whitfield’s history is less a textbook than a rough guide, but if his enthusiasm doesn’t inspire you to buy a volume of Swinburne – aristo, atheist, aesthete, alcoholic, sadomasochist – I’ll be surprised. 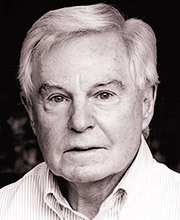 Derek Jacobi brings this production together with a clear and lively narration of its introduction. The collection is a general presentation, rather than a scholarly tome, on the evolution of the idea of English poetry (and its American cousins and influences) – and where readers fit into the tradition. In each era, the text addresses the question of what a poem was expected to be and do. These are illustrated by thoughtfully interpreted readings from works by more than a hundred poets by a group of skilled Naxos narrators. This critical history traces poets from Chaucer to Allen Ginsberg. 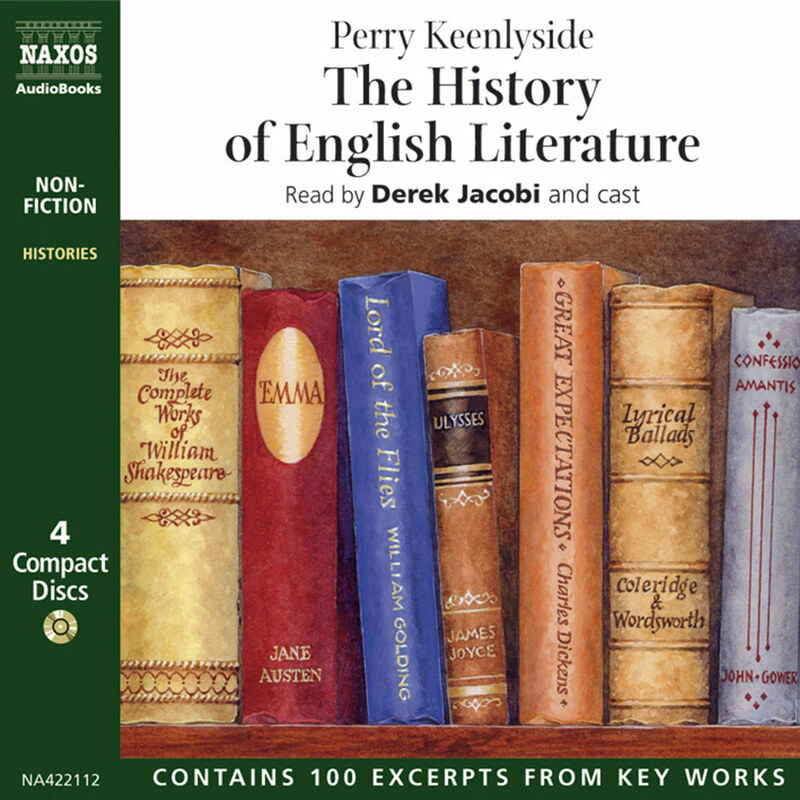 For lovers of poetry, there is the excellent and fascinating audiobook, The History of English Poetry, read by famous actor Derek Jacobi (think Brother Cadfael and I, Claudius). 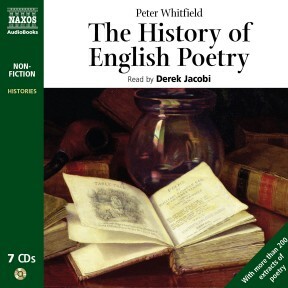 The original book was written by Peter Whitfield, whose sweeping command of the subject gives us a wonderful look into the rich and centuries’ old tradition of English poetry from the earliest writers to the present. While Jacobi reads the bulk of the book in his mellifluous voice, other readers bring to life various poems quoted within it, thus giving this work authenticity and colour to hold the listener’s interest. What is poetry? A simple but apparently impossible question to answer. A poem is immediately recognisable, be it a ballad from the late middle ages, an Elizabethan sonnet, an epic by Milton or Tennyson, or the free-verse lyric of today. But what is it that links these works? What were writers as different as Donne, Pope, Shelley, Whitman and Eliot doing that makes it possible for us to see their work as belonging to the great artistic structure we call poetry? Does something happen in a poem that does not happen in a novel, an essay or a play, and if so what is it? In this survey of the course of English poetry over more than six centuries we have tried to answer these questions by examining what poetry has been. Here, the great ages of poetry – Elizabethan, Augustan, Romantic, Victorian and Modernist – are evoked in turn, while the novelty and impact of American poetry is also considered. What emerges is a series of love affairs with language. Poetry is distinguished by language itself in the foreground – language is made to live and flow in what can only be called the music of ideas. The line of verse and the stanza, isolated on the page, draw the eye and the mind to each word and phrase, which should be individually striking, but which must harmonise into a satisfying whole. Prose is subtler – more flexible, more diffuse and more forgiving. Two or three imperfect words can diminish or even ruin a poem; a thousand will not ruin a novel. In prose we are looking through the language at the ideas; in poetry we are looking at, and perhaps even living within, the language itself. That is the difference. The music of ideas is not wholly rational, and as we encounter it in poetry it gives a depth of pleasure that prose rarely can. It embodies an imaginative response to the world, an alchemy of words in which experience is recreated in new forms; this is, after all, exactly what we mean by the very word ‘poetic’. 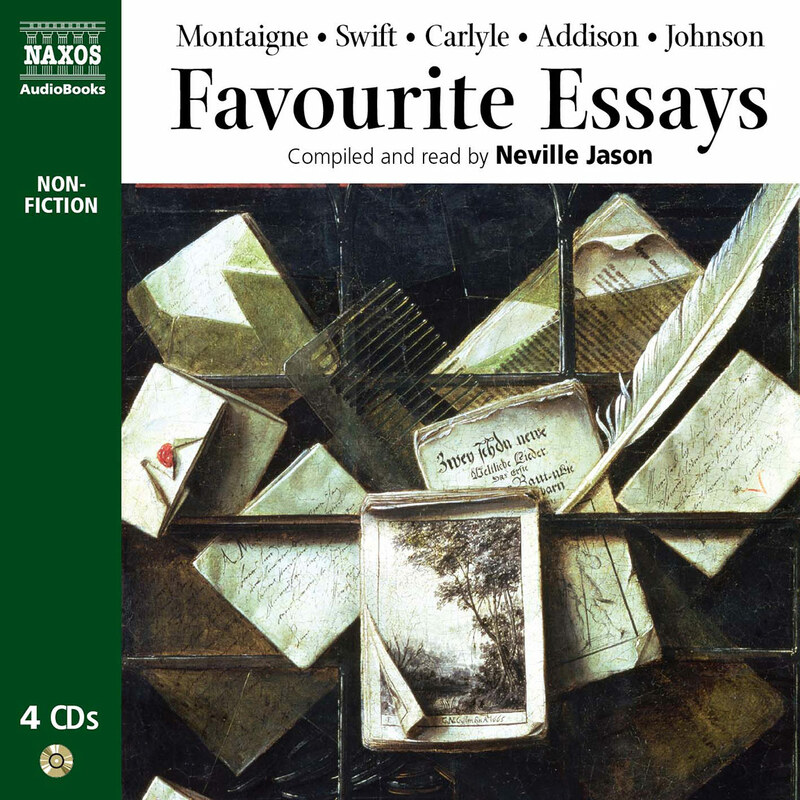 – might have been written by any one of a score of poets at any time between 1600 and 1700, but its charm and balance are as enduring as the melody of a song. There have always been poets who did value individuality above all things, who wanted to explore new realms of thought and feeling. Donne, Herbert and the other metaphysical poets rejected stock poeticisms in their attempts to bring real experience, emotional and spiritual, into their poems. The story of English poetry could be seen in terms of a tension between formal mastery and individual expression, a tension in which the Romantic Movement was crucial in focusing attention on the personal vision of the poet. Blake, Wordsworth, Shelley, Keats, Tennyson and Whitman were exploring their own selfhood and their response to the world; they were no longer interested in perfecting existing models, or in being part of any school. Others, such as Hopkins and Emily Dickinson, were so radical in their approach that they remained unpublishable in their lifetimes. In the modern era we have come to be interested in poets only when they differ from others, only at the point where they acquire a unique voice. Perhaps it is no accident that this has happened at a time when the conventional poetic forms have dissolved and all but vanished: we now find ourselves in a rich but bewildering modern landscape of poetic freedom, for which we have few maps. Poetry was for centuries a mainstream art, and writers such as Spenser, Milton, Donne, Blake, Wordsworth, Tennyson and Browning created a world of beauty, of images and forms, as enduring as the painting of the Renaissance or the music of the classical age. Their work became part of the English consciousness. Poetry may no longer enjoy this position of centrality in our culture, but the music of ideas that these poets developed is still among the most precious legacies that we have received from the past. This history explores that legacy and shows how vital and challenging modern poetry can still be. Lucidly presented and richly illustrated with passages from scores of great poets, it offers an expert guide to the whole world of English and American poetry that is distinctive, thought-provoking, and above all, enjoyable.